There is a constant flow of discussion at the moment about the proposed congestion charges in Copenhagen - one of the initiatives the current government had on their election platform. 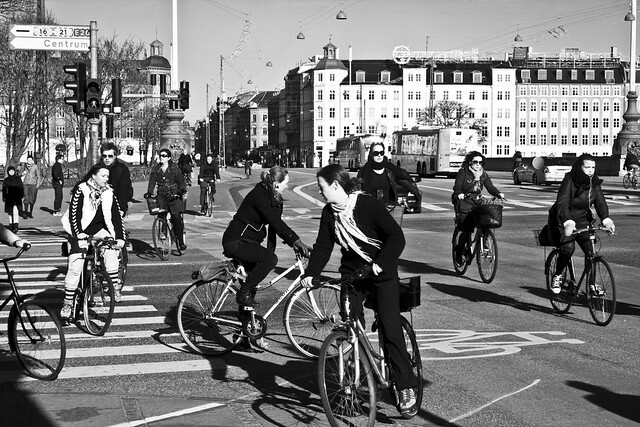 Copenhagenize is pleased to feature this guest article written by Natalie Mossin and Jane Sandberg. Jane is the CEO of The Danish Architects' Association and Natalie is the Chairman of the Board. The Danish Architects' Association was founded in 1879 and works to promote the quality of planning and design of our physical environment and to improve and develop the conditions for the architect's profession. We thought it appropriate to publish some rational thoughts about the congestion charges. Here it comes. Congestion charges are about what cities will be like in the future and which needs they will fulfill. The congestion charges have been strongly criticised and they have been divisive. Just the name – 'betalingsring' – or 'pay ring' generate associations of the worst possible kind. Just for a moment let's look away from the debate's unilateral arguments about what we'll lose and instead look at what we will gain, if Transport Minister Henrik Dam Kristensen dares to formulate a visionary goal for the Copenhagen of the future and prioritise cheaper and better public transport. Danish cities are old and they are certainly not built for our modern transport masses. There is a natural limit to how many motor vehicles that can drive through our existing urban areas. Merely adding more car lanes is not a viable solution. Therefore we need to develop the conditions for other transport forms. The causality behind the congestion charges is simple: If it costs money to drive into Copenhagen, many people will leave the car at home and choose instead train, bus or bicycle. The result is fewer cars, lower pollution levels, more flow in the traffic and a better urban environment. The desire for fewer cars on the roads is not a war on cars. It is a necessary regulation of the growing number of cars in the capital region so that the city's logistics – in the future as well – can work. If the congestion charges in Copenhagen are to improve the traffic environment in Copenhagen, a number of important steps must first be taken. The first step is defining a vision for what kind of city we wish to have in 10, 20 and 50 years. We mustn't discuss congestion charges based on what Copenhagen is like today, but rather how we wish the city to be in the future, as well as which needs it must fulfill. We're already seeing massive changes in many peoples working lives and everyday lives. It has become more flexible and less rooted to one location, in the way we have meetings on Skype and are online everywhere we go. These new possibilities for movement and interaction place demands on the city's space, which no longer is merely a terminal for dropping off and picking up goods as well as transport. It is a centre for human meetings – a place for experiences and recreation with a lively street scene that also has room for the as yet undiscovered. This requires space. The next step is about public transport, which has to be better and cheaper in the capital at the very moment that the congestion charges come into effect. A large portion of the revenue from the congestion charges must be allocated to this. The third step is about urban planning. In Stockholm they had a great deal of success with integrating revenue from their congestion charges with the national planning strategy. The local regions have therefore benefited from the revenue and have improved the general infrastructure. Why not do as the Swedes have done? Improved accessibility on a national level could be a concrete place to start. 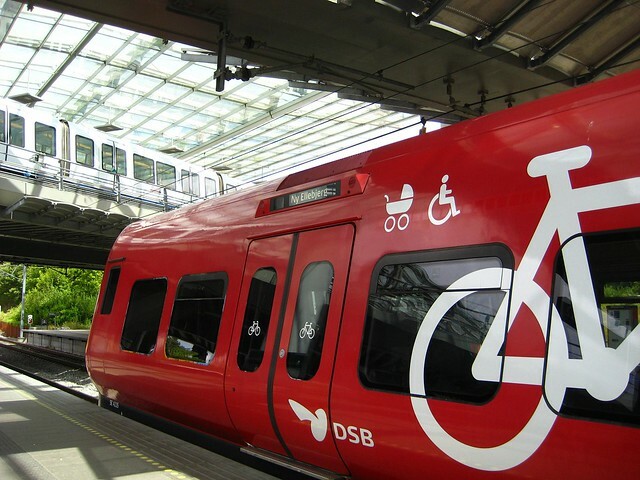 Even though Denmark is ahead of the game regarding accessible cities, it remains difficult for many wheelchair users, elderly citizens and visual imparied to move around the streets. Therefore, physical hindrances like lack of ramps on stairs, high curbstones, complex intersections and narrow sidewalks must be given serious thought so that the urban space can be more accessible for everyone. There was a great deal of resistance when congestion charges were implemented in London and Stockholm. Since then, the negative perception has reversed. In 2006, 56% of Londoners were against the congestion charges. That has now fallen to 39%. In Stockholm, only 40% were for the charges just before the pilot project was launched. The latest numbers, from 2010, show that 74% now support the congestion charges. If we are to follow in London's and Stockholm's footsteps, the Minister of Transport should take the necessary steps we have highlighted here. In addition, he should enage urban planners, architects and other stakeholders in a dialogue about the goals for the future of the city's life between houses and on the streets of Copenhagen. It is also of utmost importance that he listens actively to the critics of the congestion charges. Not least the 15 mayors in the municipalities around Copenhagen, as they represent the citizens who will be affected by the new fees. Finally, it is important that we avoid an invisible ”city wall”. It shouldn't cost the farm to drive into Copenhagen. There should be the possibility for differentiated payment. For example, using GPS technology that can be used with great precision in road pricing initiatives, as long as the cars have a chip that registers where they drive and sends the data to the tax authorities. An alternative could be to divide the congestion charge between a number of zones in the city. At the end of the end it is all about prioritising and daring to invest in the future so that Copenhagen, in the future as well, can be a city that inspires others, that is accessible to all, where there is a balance between transport forms and where there is space and life between the buildings. If this doesn't happen, we will think back to the good old days when Copenhagen was voted the world's greenest city in 2009 and the world's most liveable city according to Monocle in 2008 and where urban planners from all over the world came to Copenhagen to study Copenhagenization and realise we dropped the ball. Natalie and Jane's article was published in Politiken, the Danish newspaper last week. Here's the link to the Danish version.